The contemporary SsangYong Tivoli B-segment SUV arrives in the UK this summer with prices starting from just £12,950. especially style, interior finish and value for money, Tivoli stands close scrutiny. The verdict from those who have already seen and driven the car is that we're on to a winner. But ultimately it's the customer who wins: this is a modern, safe, well-built and comprehensively equipped car, and with a price and warranty no one else can match. Anyone considering a small SUV will have to put it on their list." The Tivoli is extremely well equipped and for simplicity the range comprises three main model options - SE, EX and ELX, while for those who want further individualisation, the My Tivoli programme offers a wide number of further choices. The Tivoli SE starts from just £12,950, and is available with a choice of a 1.6-litre Euro 6 petrol or diesel engine (from August) with manual transmission. Finished in a smart grey cloth trim, it includes 16-inch alloy wheels, cruise control, a stop/go system (petrol), Smart steering (normal, comfort and sport modes), an RDS/Bluetooth radio and seven airbags. The EX adds the option of automatic transmission on the petrol powered car, (diesel automatic and diesel 4x4 manual are available through the My Tivoli personalisation programme), grey or beige leather upholstery, 18-inch alloy Spiral wheels, dual zone climate control, 7-inch touch screen smart audio system with rear view camera, heated front seats, front fog lights and a luggage load cover. The top of the range ELX is available with the full choice of petrol, diesel, manual and automatic transmission, front wheel drive or 4x4, and features Diamond cut alloy wheels, a smart instrument cluster, smart keyless starting, front & rear parking sensors, privacy glass, rear spoiler, automatic headlamps, rain sensing wipers, full TomTom navigation system with 7-inch touch screen, rear view camera, and the option of the Styling pack and Red leather pack via the 'My Tivoli' personalisation programme. There is a choice of six colours - flaming red, grand white and metallic dandy blue, space black, silent silver and techno grey and two additional colours - jazz brown and icecap blue through 'My Tivoli'. 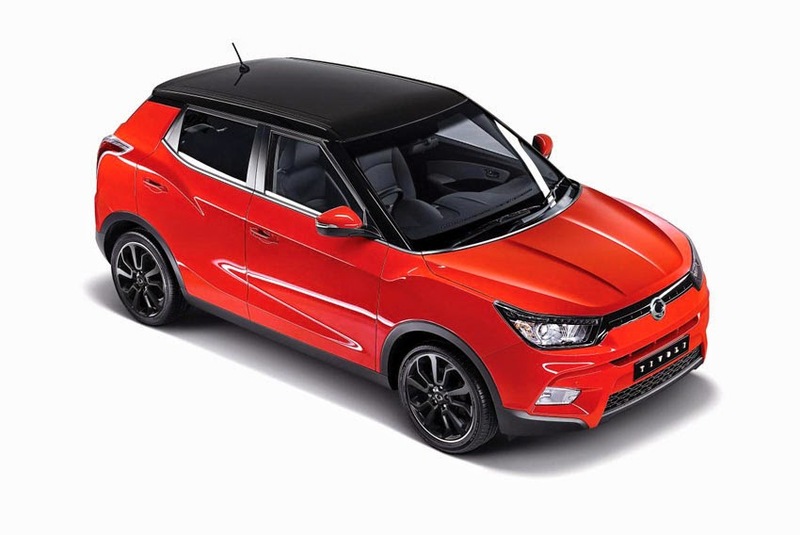 The My Tivoli personalisation programme allows customers to create their own distinctive car. This includes the Styling pack which gives a choice of five two-tone colour roof combinations, the Red leather pack, two further colours - metallic Jazz brown & Icecap blue, as well as further engine and drivetrain options.